Service based business owners and entrepreneurs are used to juggling a myriad of things and can often put up with issues or behaviour that holds them back instead of dealing with it and nipping it in the bud. One reason for this is they often don’t consider the real cost of toleration and simply learn to live with it. Or so it seems. What’s really happening is their tolerance level is being stretched incrementally but just like a rubber band there’ll come a time when it will snap! And that’s when the peanut butter hits the fan and dramas are created. Dramas that can be avoided by taking action to address the situation sooner rather than later. The best way I know to get into action is to ‘put a pencil to it’ meaning calculate what it is costing you to put up with (fill in the blank)! A few common scenarios you could be tolerating. Now let’s extrapolate just one of these and see what the real cost of toleration adds up to in actual dollar terms. How much of your time is taken up by looking after friends, family and non-paying potential clients? Time you could be spending on your business. Think about an average day in your business then estimate the amount of time you spend looking after others needs that prevents you from using that time. Time is the one resource that’s not replenishable – once spent it’s gone forever. Now, for our example let’s be conservative and say it’s just 1 hour a day, 5 days a week. That’s tallies up to 20 hours each and every month and remember when it comes to business, time is money. So let’s say your time is worth $100 hour (remember we’re being conservative here). That’s $2,000 every month you’re not charging out which comes to $24,000 annually. Add to that the cost of missed opportunities. Opportunities that passed you by because you were ‘busy’ looking after others needs instead of minding your own business! Ask yourself, what else could you have done with that time to create more income in your business? For instance, 5 hours each and every week spent on marketing would surely generate new clients. Even 1 extra new client a week would add up wouldn’t it? Conservatively, let’s say a new client is worth $1,000 (this could be more or less in your specific business) which means you’re like as not leaving an extra $4,000 each and every month on the table. That’s a whopping $48,000 each and every year that you can never get back. It doesn’t take long to add up does it? My coach’s request to you is to pick just one instance where you’ve been tolerating the situation and ‘put a pencil to it’ to come up with the real cost of toleration. Then all you need to do is decide specific actions you will take to change the situation and by when. The sooner the better! 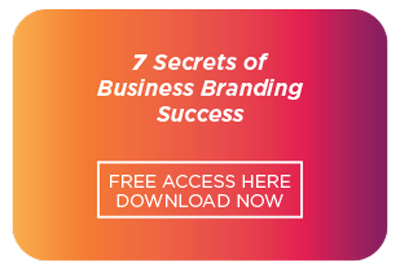 Speak Up and Ditch Your Fears What Has Your Marketing Success Got to do With Your Unique Brilliance?